At the time these innovative ideas had been part of Waldorf Schools for seventy years, and yet there was no mention of Waldorf Education by either the Times or the MacArthur Foundation. This was our "aha" moment when we realized that if ideas have a life of their own, and surely they do, they also have a time into which they are born. Rudolf Steiner was clearly ahead of his time, but now a time had come when the ideas that he put forward would begin to occur throughout the educational world. And there was plenty of evidence that that was happening. There were articles in the Washington Post and in the Baltimore Sun about teachers staying with the same group of children for an extended number of years; looping, they called it. There were three new local public elementary schools that had an arts-based curriculum. And there were numerous films depicting the wonderful way that a music program could revamp a school. The evidence was everywhere. It was then that we realized that those involved in Waldorf Education needed to be part of this developing conversation and that we needed to do so with a vocabulary that was accessible to all educators and with a thorough understanding of the current educational climate. Twelve years later the Nova Institute is still at work building a bridge from Waldorf Education to mainstream education. We are doing this work through our teacher preparation program where we not only help our teacher trainees come to a thorough understanding of the essential principles and practices of Waldorf Education, but also to have an awareness of the work which is being done by like-minded educators outside of the Waldorf movement. 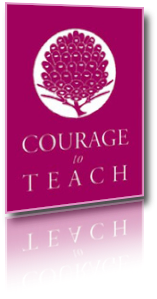 We are doing this work with our Courage and Renewal retreats where we have been able to gather public school teachers and education professors to reflect on the personal and professional challenges that teachers face in the high stakes testing environment of education today. And we continue to do what we have done since our inception, which is to speak and write about Waldorf Education.